Francis I, the Roman pope, recently beatified South American Roman Catholic archbishop, Oscar Romero, who was murdered in 1980. This was not just another Popish beatification. This was a beatification of immense significance to the vast Roman Catholic population of Latin America, and to the entire Roman Catholic world. For in beatifying Romero, the Papacy gave a huge boost to the violent doctrine of “liberation theology”, which is nothing less than Roman Catholic Marxism, and sent a message to the world that could not be clearer: the Roman Catholic “Church”, the largest and most powerful religion on the face of the earth, has committed itself, from its pope all the way down through the ranks, to a Marxist world, and will readily endorse violence to push this Red ideology. Liberation theology is the diabolical teaching that Romanism and Marxism are one and the same; that Christ and Marx were working for the same things; that the creation of a Communist world will be the creation of Christ’s kingdom on earth; that violence against the State is justified if it ushers in a more just social order (a Marxist government); etc. Francis I is a South American Jesuit and a believer in liberation theology, as his statements and actions have made abundantly clear through the years. For further evidence, see my articles, A Jesuit Becomes the Pope of Rome and The Jesuit Roman Pope Francis I.
Liberation theology needed a “saint”: someone who could be upheld as a “Christian” example to follow. Rome has always made much use of men as rallying points for the masses, who give a human face to the “cause” and inspire the masses to follow blindly wherever Rome says they must go. And to find just such a man to be the face of liberation theology was very easy: Oscar Romero, the murdered archbishop of San Salvador. In the years before he was killed, Romero had been an outspoken champion of liberation theology, Romanism’s doctrine of religious Marxism, which had taken Latin America by storm and was shaping a “Church” across that vast continent which proclaimed Marxism disguised as “Christianity”, claiming to “identify with the poor”; a radicalised “Church” which saw priests take up arms and join the terrorist organisations fighting against various Latin American governments. Liberation theology was instigated by Jesuit priests, and they more than any others were promoting it across the length and breadth of Latin America in the 1970s. When in March 1977 Jesuit priest Rutillo Grande was murdered by the Salvadoran authorities, Romero came out strongly on the side of the liberation theologians. The Jesuits were his close advisors. So although he was not officially a member of the Jesuit order himself, Romero was heavily influenced and inspired by them. Like all other preachers of this evil doctrine, he would often pepper his sermons with scriptural references, but always distorted so as to make it appear that the Bible supported Catholic-Communism. For example, he once referred in a “pastoral letter” to the time when Jesus was transfigured before His disciples, and said, “The five people with Jesus, Moses, Elijah, Peter, James, and John, were all men of violent disposition.” To the masses of biblically-illiterate poor in South America, who knew nothing of what the Bible really said but who trusted their priests for their eternal salvation, the message was clear: go, and do likewise. 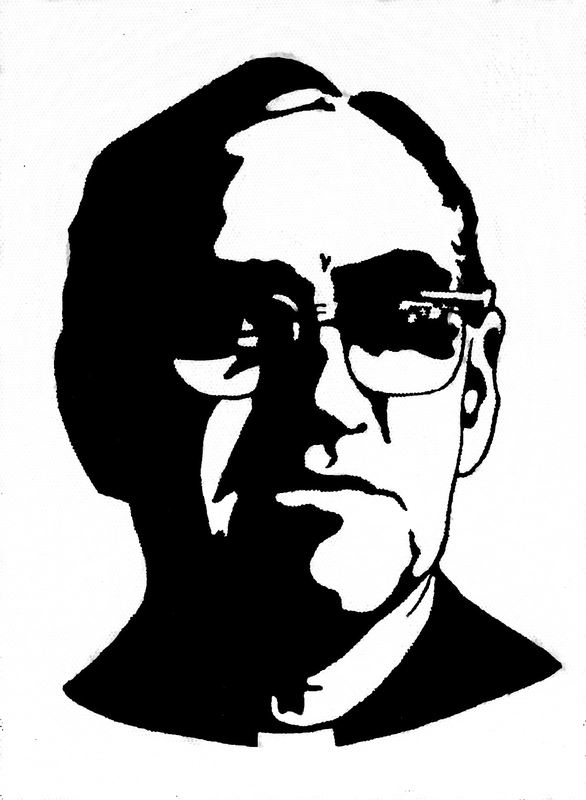 Oscar Romero was murdered by four gunmen on March 24, 1980, while saying a funeral mass in San Salvador. As he lifted the chalice he said, “In this chalice the wine becomes blood which was the sacrifice for the salvation of this people. May this sacrifice give us the courage to offer our own bodies for justice and peace.” At that moment he was shot in the heart, and he fell on his back at the altar.